– Why Bad Things Happen to Good People? 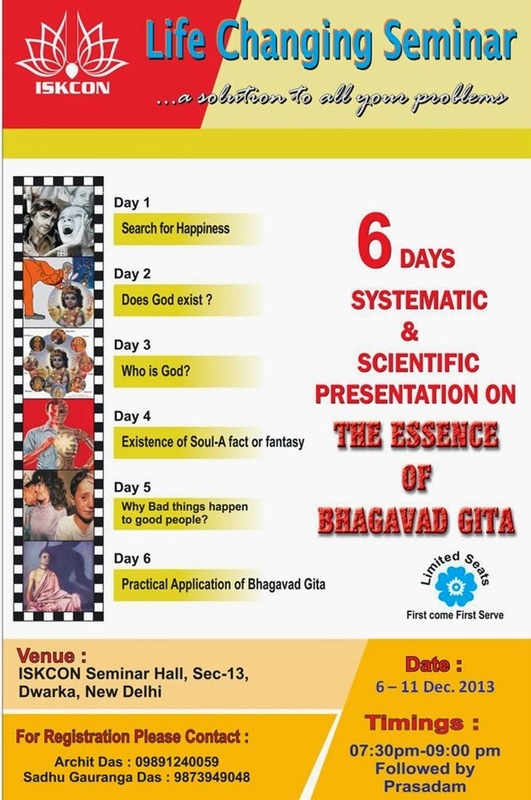 The seminar is a systematic & scientific presentation based on the essential teachings of Bhagavad Gita & answers most of the common questions/ doubts that people have. It is conducted in a professional environment (Seminar Hall, PPT Slideshow, Unique I Cards, etc.) with facility for daily notes, & Question Answer sessions for thorough understanding.